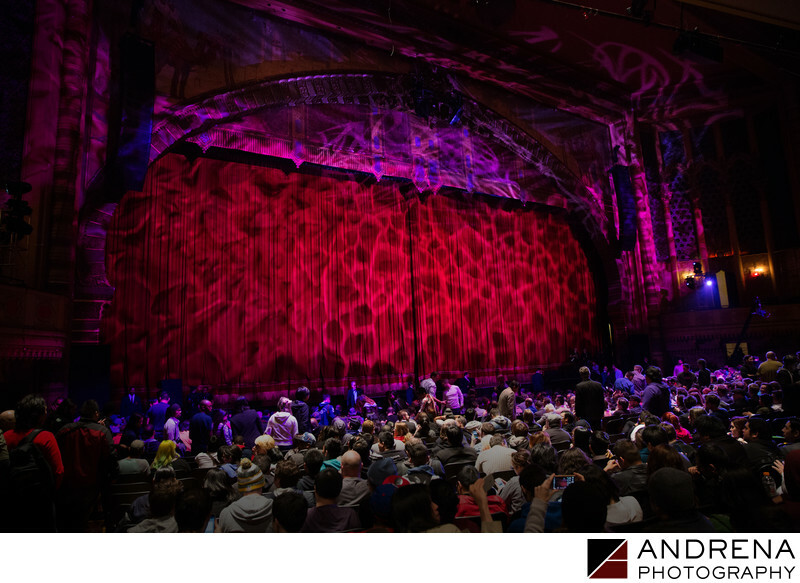 A product launch or updated release event can generate tons of enthusiasm among its fans, and we find that it is always important as photographers to capture the moments before the curtain goes up, just to show a sense of space and Los Angeles audience. The beautiful lighting patterns displayed on the curtains at this event were bathed in red and purple, adding a sense of energy and color before the event. All event organizers want to see the size of their audience. Any image showing scale and scope makes event organizers happy.